The UBC Thunderbirds (men’s Soccer), Ottawa Gee-Gees (women’s soccer), Laval Rouge et Or (men’s volleyball) and Alberta Pandas (women’s volleyball) were all awarded hosting rights to upcoming U SPORTS Championships on Thursday. The four teams will play to host U SPORTS soccer and volleyball championships during the 2018-19 season. It will mark the sixth time UBC will welcome the nation’s best in U SPORTS men’s soccer, having last hosted the tournament in 2007. The Thunderbirds last won the Sam Davidson Memorial Trophy in 2013, the team’s 13th title and second straight. The tournaments runs Nov. 8-11, 2018. 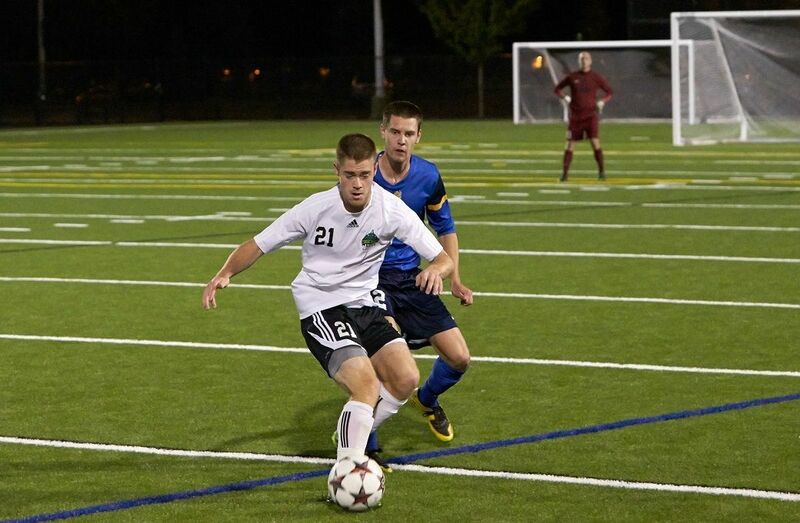 The 2017 U SPORTS Men’s Soccer Championship will be hosted by Thompson Rivers University in November. In U SPORTS women’s soccer, Ottawa will host the national event for the first time in program history, having previously captured their only Gladys Bean Memorial Trophy in 1996. The 2017 U SPORTS Women’s Soccer Championship will be hosted by the University of Manitoba in November. 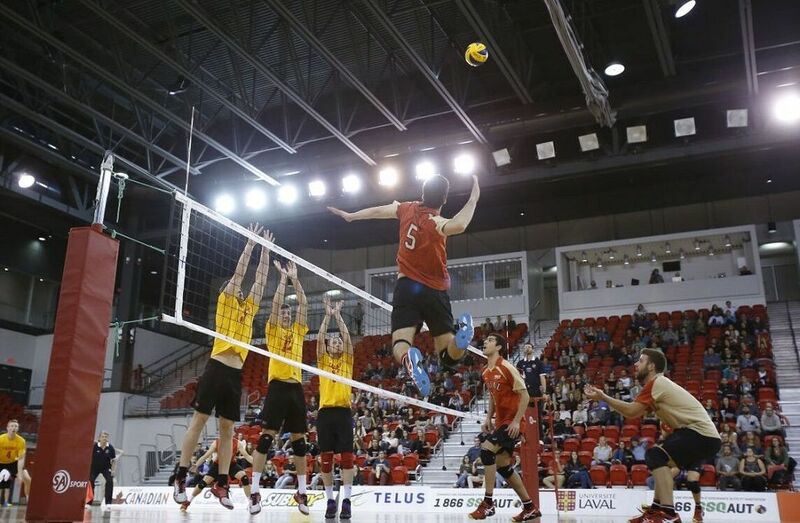 In 2019, the U SPORTS Men’s Volleyball Championship will return to a familiar site, as the Laval Rouge et Or play host to the tournament for the 12thtime, having last done so as recently as 2013. The Rouge et Or won their fourth Tantramar Trophy – on home court that season – the team’s first in nearly two decades. "We are very pleased to be hosting the best men's volleyball teams in the country in 2019! At the last tournament we hosted at PEPS in 2013, we had a wonderful competition both on the fields and from the fans' response. This is an unique opportunity to showcase our institution across the country," said Laval sports and recreation director Christian Gagnon. "The fact that U SPORTS has once again trusted us for the women's championship in 2018 and now the men's in 2019 demonstrates Laval University's established credibility for hosting major events with a dedicated and professional staff, a volleyball board ready to face challenges and enthusiastic coaches who are determined to present the best possible teams on the field." The tournaments runs Mar. 15-17, 2019. The 2017 U SPORTS Men’s Volleyball Championship will be hosted by McMaster University next March. In U SPORTS women’s volleyball, the national championship heads to the University of Alberta in 2019, where it was staged for the fifth time in 2010. The Pandas last won the national tournament in 2007 for the team’s seventh title, and captured a silver medal at the 2017 tournament at Ryerson. “Following the very successful 2017 U SPORTS FOG Men's Volleyball Championship, the University of Alberta is grateful to be given the opportunity to host the women's championship in 2019,” said Alberta athletic director Ian Reade. “Fans of U SPORTS women's volleyball will be treated to a fabulous event at the Saville Community Sports Centre in Edmonton. In addition, a top quality webcast will make the event available to fans, friends, and alumni of all the programs from around the world." The 2018 U SPORTS Women’s Volleyball Championship will be hosted by Laval University next March.